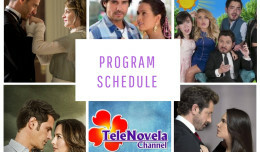 In the Name of Love: Episode 18 | TeleNovela Channel - Bringing you closer to lifes drama. When it rains, it really pours as Iñaki endures rejection, truancy and yet another disappointment from Romina. He now suspects there is more than meets the eye.